Need to refresh your fridge? We’ve got you’ve hooked up! Here at Clean Arrival LLC, all our professionals are specially trained to safely clean your fridge. You can add this service option to any clean you like. 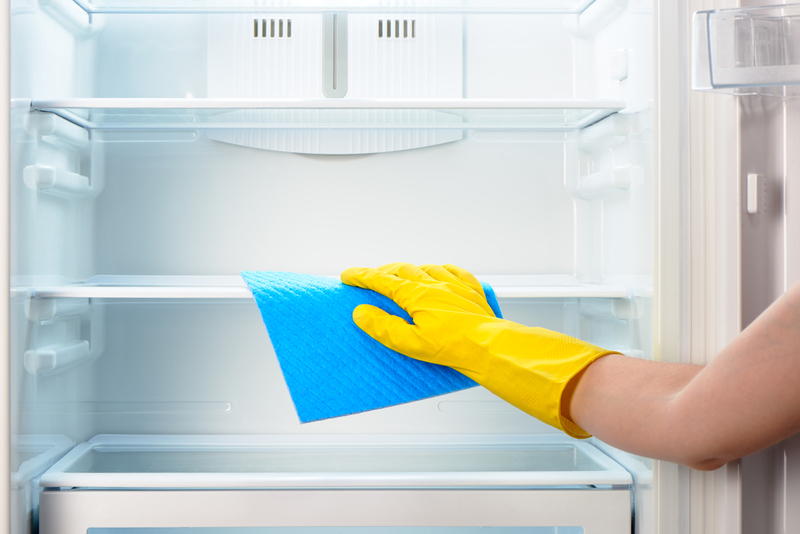 Whether you are getting a deep clean, standard clean, single clean, or have recurring service, you can opt to add our fridge cleaning services. Following CDC best practices we safely clean each fridge following strict guidelines. Additionally, we use a probiotic all-purpose is eco-friendly, nontoxic, nonGMO, and fragrance-free. Using “good Bacteria” we help rebalance the micro-environment of your fridge, without harmful smelly chemicals. We know inviting someone into your home is a big deal. We would never allow our staff to clean your home if we wouldn’t invite them into our own. As a fully licensed and insured company within the state of Oregon, we guarantee your service will be held to the highest standards. Our goal as a local Portland cleaning company is to provide the best service by hiring the best people. In doing so, all of our Clean Arrival professionals are carefully vetted through thorough background checks, interviews, and trial periods with our company. We ensure we choose the right person to care for your home. We guarantee your cleaner will always be professional, friendly, and sincere. If you’ve added a fridge clean to a move in or move out clean we always suggest defrosting your refrigerator, if possible, before we come to clean. When the refrigerator is still running all the condensation on the walls of the fridge interfere with the charge of proper microfiber cloths reducing there effectiveness in terms of picking up dirt, debris, and grime. Don’t want to bother doing it yourself? Clean Arrival can do the fridge too! Book any type of clean and simply click the fridge icon under our extras category to add our fridge cleaning serv. You can also message us on Facebook or email us here.